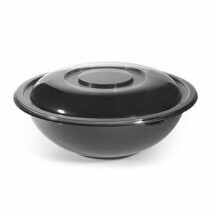 Disposable salad bowls, available in many colors, are perfect for serving a variety of cold salads at indoor and outdoor catered events. 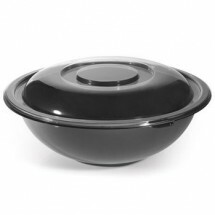 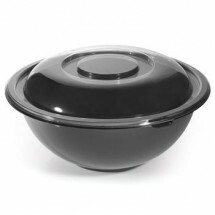 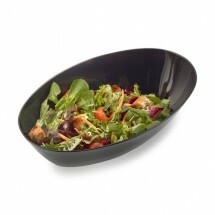 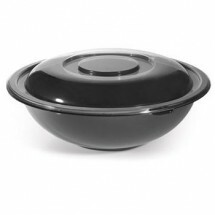 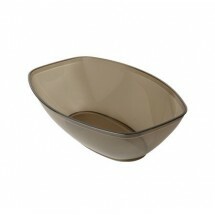 Designed with deep bowls, these salad bowls will keep your salad well-contained without spillage or leakage. 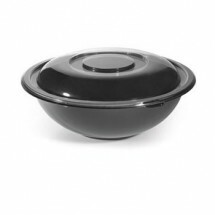 Sturdy and durable, they won't break or sag during foodservice. 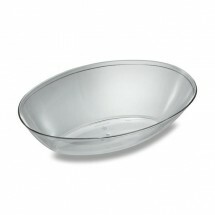 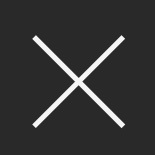 Best of all, they are made of recycable plastic so they can be reused or disposed of in the recycle bin after use.